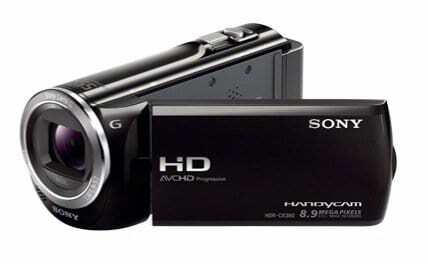 Sony long had a good and solid reputation for producing high quality camcorders and the HDR PJ 380 has excellently put up to this reputation. Yes, there’s certainly a long list of features from the 16GB flash memory, zoom capacities, built-in projector to the 3” touchscreen but ultimately, video quality is where this model truly shines. Add to that, it is very fun to use especially for group activities. So lets look at the first part of this Sony HDR PJ PJ 380 Review. The Sony HDR PJ 380 captures in full 1080p HD and at 60 FPS, recording crisper videos and replaying more individual frames at slow speeds. 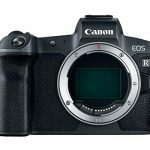 It is ranked one of the best camcorders in the market today because of its 30x optical zoom, with a digital zoom topping up to 160x. Video quality also doesn’t deteriorate upon magnifying the optic zoom as the lens simply moves forward. The zoom digitally magnifies videos by cropping images and then magnifying it. However, too much of digital zooming downgrades video quality significantly. The HDR PJ 380 takes still pictures at 8.39MP as well. This is almost as good as most dedicated point-and-shoot digital cameras. One downside to the HDR PJ 380 is its bulky build. Because it has an integrated projector, it weighs around one pound, much heavier than what most users would prefer. As expected, it also comes much bigger in size. Although its size renders it less portable, still, it’s not as heavy enough as to make a huge impact when shooting home movies. Its design also makes it really easy to access the zoom, photo and start or stop buttons. What’s amazing with this camcorder is that it transcends the standard camcorder build with its integrated on-camera projector! The built-in projector allows users to share videos with friends both in a unique and fun way. It can be hooked into tablets, laptops and smartphones for movie nights too. This Sony camcorder has a memory storage capacity of 16GB but for videography enthusiasts, a separate memory card might come in handy. It has a battery life that’s near the top of the market and caters to around 75 minutes recording time. However, the actual battery life will still be dependent on the settings intended to be used. Sony has several customer service options that provide assistance to customers in need of support. They can be contacted either through live chat, phone, or email and also have forums and FAQs posted online. The Sony Esupport Website is fairly easy and clean to navigate and their chat response is fast.